St. Louis County voters will soon be able to review election results to determine how different areas voted on select candidates and issues. Starting with the Nov. 6 general election, voters will be able to use an election-results mapping tool to examine regional preferences. Those results likely will be available two weeks after the election. County officials aim to help people interested in regional politics. The St. Louis County Board of Elections has launched an online mapping tool that will show how people voted. A pilot of the interactive tool on the St. Louis County Board of Elections website uses results from the August 2018 primary election to show voter preferences in select races — including county executive and prosecutor, and on ballot issues. The Board of Elections created the tool to help voters understand election results, Democratic Director of Elections Eric Fey said. “People might have preconceived notions of where support or opposition for certain candidates or issues might be from in the county, and after looking at the map, it may reinforce what they initially thought, or it may change their conception of where the voting public supports or opposes certain things,” Fey said. 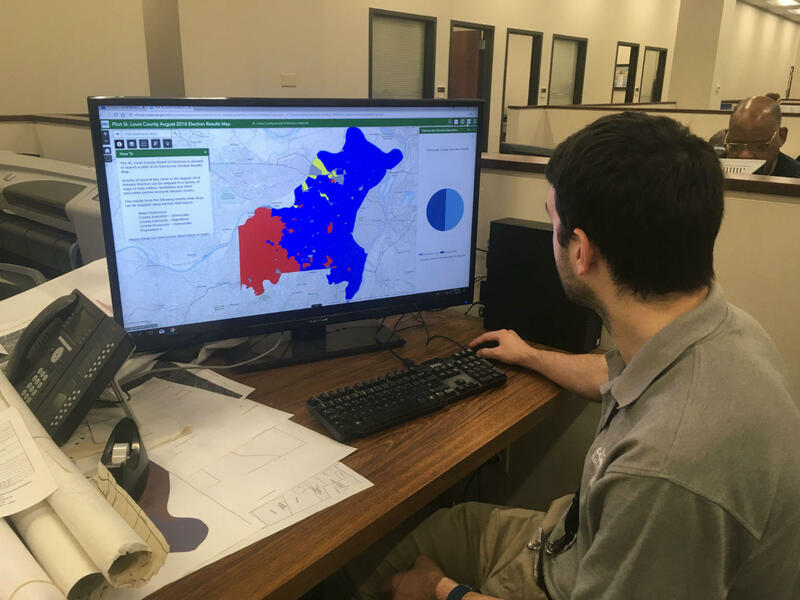 County elections officials are still fine-tuning the map as they seek user feedback. file photo | Stephanie Lecci | St. Louis Public Radio. The Democratic Director of Elections for St. Louis County, Eric Fey, is traveling to Russia this week as part of an intergovernmental group that will observe the presidential election March 18. Fey is one of 420 short-term observers with the Organization for Security and Co-operation in Europe. The OSCE, a group with 57 member nations, has observed elections since the early 1990s to help ensure free and fair elections. Over the last decade, Fey has served as an observer in Ukraine, Belarus, Macedonia, Canada, Sri Lanka, Kazakhstan, Kyrgyzstan and Uzbekistan. He said having an international organization observe the electoral process keeps governments accountable.